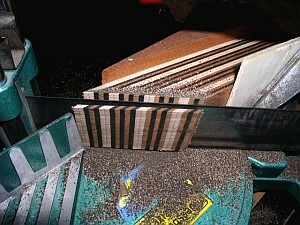 The slices are glued successively onto veneer, trued, glued topsyturvy and planed to thickness. 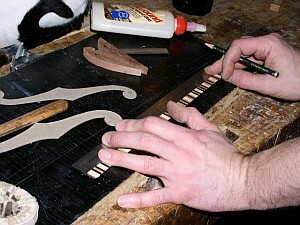 For the binding of the "F" holes, I plane the strips to 1.3 mm and cut them according to the width and length of each lamination mold. 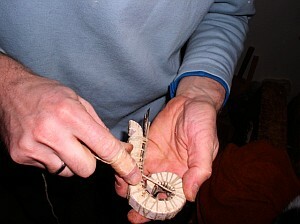 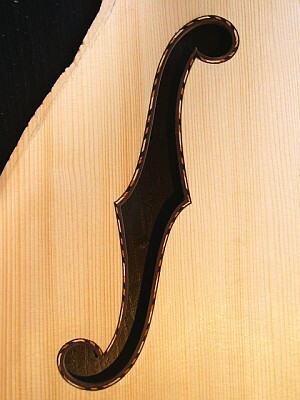 Now follows the fitting of the binding framing the "F" hole (thus "Framework"). 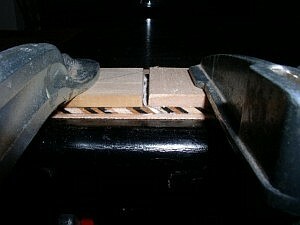 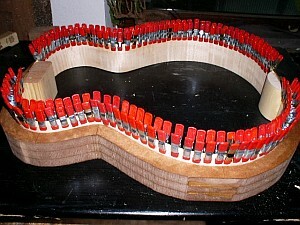 To increase the gluing surface between the sides and back resp. 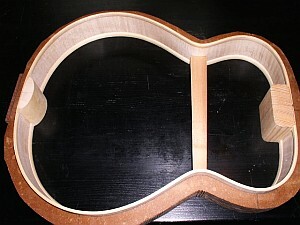 top, the linings are installed. 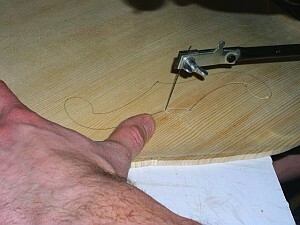 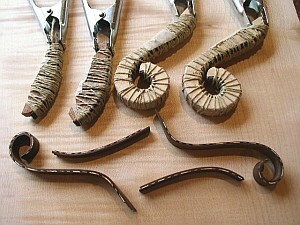 I use unkerfed willow linings of 3.5 mm thickness. 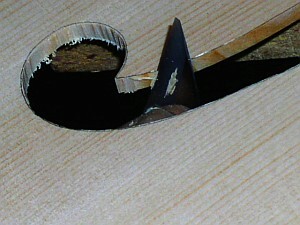 The sides are cleaned on the inside, the back can be glued in position.